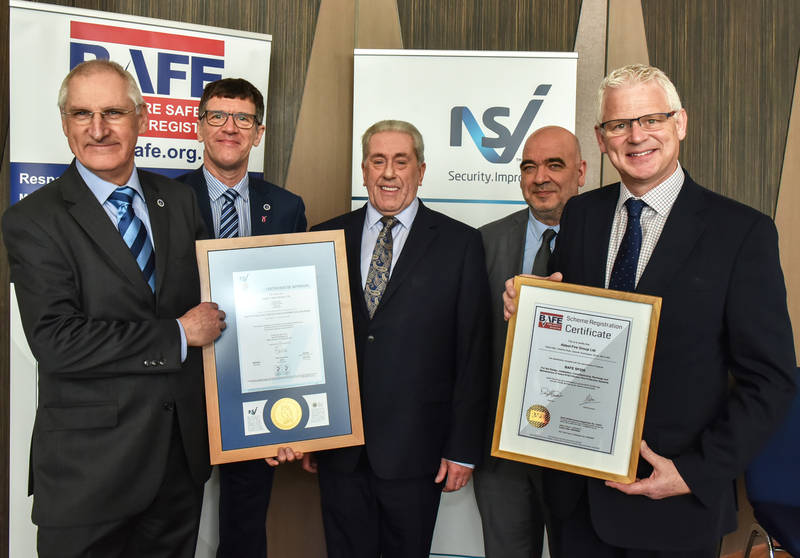 The National Security Inspectorate (NSI) and BAFE, the independent register of quality fire safety service providers, have awarded the first-ever third party certificate of approval and registration to the new Kitchen Fire Protection Systems (SP206) Scheme. The award was bestowed at the NSI’s annual Summit held at the Vox Conference Centre in Birmingham. The new scheme addresses the design, installation, commissioning, recharge and maintenance of kitchen fire protection systems (extinguishing/suppression systems). Adopting a rigorous third party certification process, the scheme assesses the competency of kitchen fire protection system providers from the design stage all the way through to periodic maintenance visits, evidenced by Certificates of Compliance. 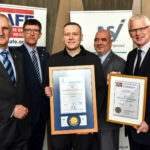 The first company to achieve this new third party certification (offering Ansul R-102 systems) via NSI and BAFE registration is the Abbot Fire Group, based in Buckingham. The Group is a strong advocate of third party certification. 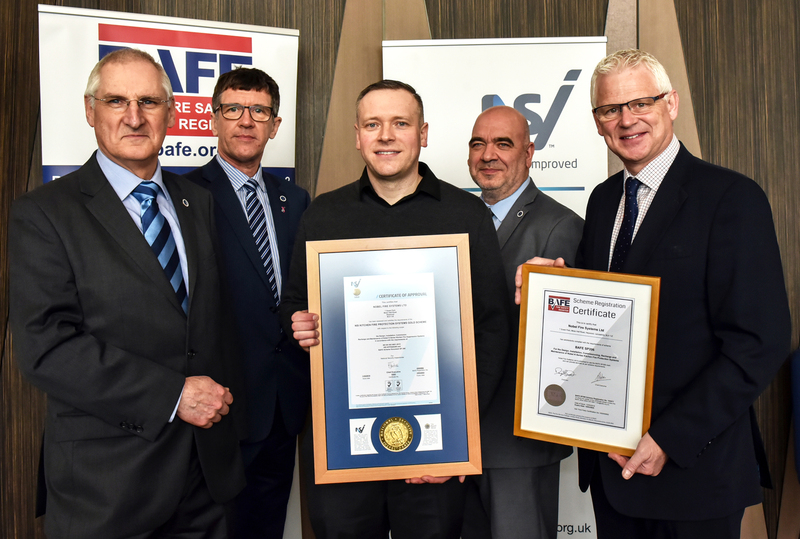 Founder Nigel Walton was awarded the certificates by Jonathan O’Neill OBE, the Fire Protection Association’s managing director, during the opening session of the Summit. 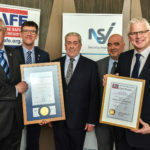 Both BAFE and the NSI would like to congratulate Abbot Fire Group and Nobel Fire Systems on their certification and all those involved in the development of the BAFE SP206 Kitchen Fire Protection Systems Scheme including Dr Jim Glockling (RISCAuthority director and the FPA’s technical director) who chaired the group.